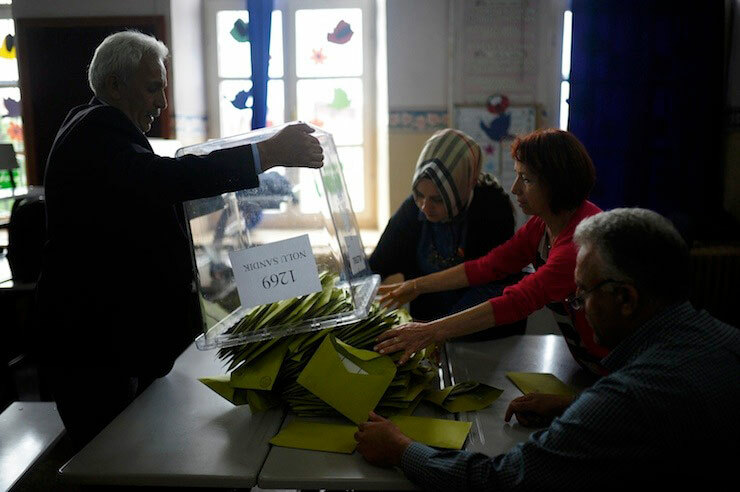 Turkey’s Supreme Election Board (YSK) has cancelled the membership and presiding officer position at polling centers of 164 main opposition Republican People’s Party (CHP) and pro-Kurdish Peoples’ Democratic Party (HDP) members, news website diken reported on Sunday. According to the report, the decision was taken in Kurdish-populated Mardin, Batman and Siirt provinces after the receipt of applications from the ruling Justice and Development Party (AK Party) questioning whether or not people who will be in charge of ballot boxes are facing investigation. 31 ballot box observers had their status cancelled by YSK on the ground that they do not have good reputation, Turkish media reported. The opposition has expressed concerns about possible rigging in a critical referendum on April 16 that will introduce an executive presidency in the country if approved. This article originally appeared in Turkish Minute on Mar 26.